The NEM blockchain technology has been selected to power rewards-based dining payment app, Liven, in a world-first that sees the Melbourne-based start-up allow Australians to transact with cryptocurrency in daily life on a large scale. The announcement sees Liven introduce a new digital currency called LivenCoin (LVN), giving everyday Australians the opportunity to dine at over 1000 restaurants and paying for their services using the cryptocurrency via the LivenPay payment network. 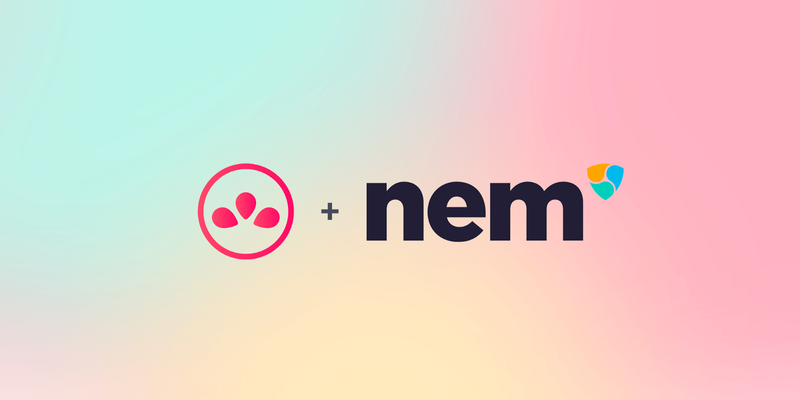 The NEM.io Foundation, creators of the peer-to-peer NEM blockchain platform and the XEM cryptocurrency will be working with Liven to onboard XEM as the first cryptocurrency pairing with LVN coin to enable access to payments with XEM at hundreds of outlets in Australia and also utilise the NEM blockchain Apostille function, which is a timestamp on the NEM public blockchain. Apostille will be used to notarise analytics provided to merchants to ensure transparency and integrity in Liven’s back-end reporting ecosystem. Merchants who receive these reports over time will be able to make intelligent business decisions based on the data they receive when they work with Liven. Known as a plug-and-play, out of the box blockchain enterprise solution, NEM will be providing technical guidance and support as well as explore a number of other blockchain technology features which could be integrated into Liven’s platform. Founded in 2014 by siblings William and Grace Wong, alongside engineering PhD David Ballerini, Liven allows over 300,000 users to be credited with 10–30 per cent of their bill spend at bars and restaurants as LivenCash, which can be spent on their next outing, or donated to charity. The app, which has raised AUD$11.5 million in traditional capital and has processed over AUD$5 million in bill payments has recently taken off with Point of Sale integrations and large brand partnerships. Liven Co-founder, William Wong, said integrating NEM blockchain technology was an obvious progression for Liven as part of the company’s growth trajectory. The NEM blockchain will also be used to power Liven’s mobile wallet, as the company looks to expand into international markets in the coming months. “We are glad to integrate XEM as the first digital currency on our platform to meet with customer demand for crypto capabilities. Our vision for Liven has been international from the outset, and working with NEM will provide us with the starting ground to build world-class infrastructure as we branch out globally. NEM.io Foundation is currently in 40 countries across the world, spanning a total of 100 cities and has a strong presence in Australia and New Zealand. Jason Lee, Expansion Director for Australia and New Zealand for NEM.io Foundation, said he was excited to be partnering with Liven for the NEM integration, helping to increase Liven’s global presence and exploring further avenues for collaboration. “We are looking forward to work with Liven in providing support from the countries in which we operate in and explore further opportunities to strengthen the collaboration between Liven and NEM. “This partnership is two-fold: first, allowing XEM to be paired with LVN through its platform would enable our community to interact with Liven’s ecosystem. Second, Liven using the NEM blockchain is proof that there is area to develop real world use cases to support business growth, especially in making better business decisions. Originally published at medium.com on October 1, 2018. NEM is the world's first Smart Asset blockchain. Built for Performance.